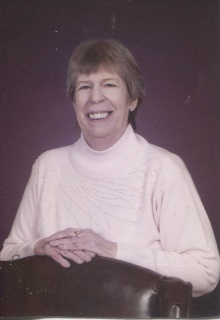 Joan Rae Williams, 80, passed on Thursday, Feb. 7, 2019 at Harris Hill Nursing Home in Concord after a 10 week battle with cancer. Joan was born on December 21, 1938 in Ipswich, MA the daughter of Raymond and Dorothy (Richard) Williams. She was a graduate of Franklin High School, Class of 1957. She worked for O.W. Dufresne in Franklin and later for John Hancock (district office) in Concord where she spent 35 years prior to retiring. In her early years, Joan enjoyed playing golf and bowling. She also enjoyed crafts and reading. Joan cherished the many friends she made while traveling with New England Coach. She is survived by her brother: Mark Williams and wife Diane of Franklin, her sister: Ann Foisy and husband Roger of Cumberland, RI, her nephew, Craig Williams and wife Shannon and two great nephews: Spencer and Colin, all of Lunenburg, MA, and cousins. As per Joan’s wishes, a Mass of Christian Burial will be celebrated at St. Paul Church of St. Gabriel Parish, 110 School St., Franklin on Monday, Feb. 18, 2019 at 11 am. Burial will be in the spring and there will be no calling hours. In lieu of flowers, memorial contributions may be made to St. Gabriel Parish, PO Box 490, Franklin, NH 03235.